Does Creative Energy get the permits? Does my area get enough sun for Photovoltaic to be worth the investment? The weather in Hawaii is perfect for solar year round. 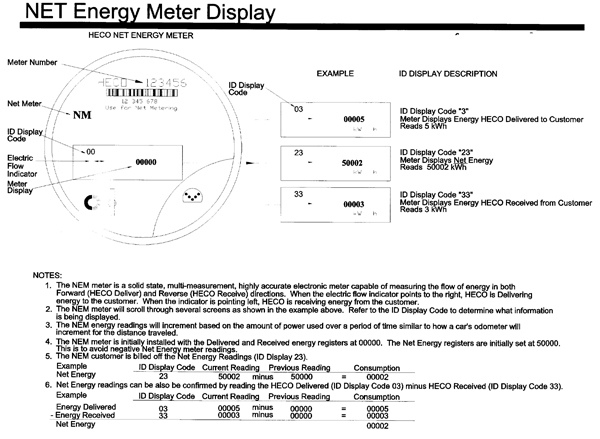 NET METERING – Creative Energy co-ordinates with HECO to get your net meter installed as quickly as possible. How will my solar panels help the environment? What type of Solar Panels do you suggest? Due to solar panel continuous technology improvements, Creative Energy will always offer you the latest and best product available to you the consumer. 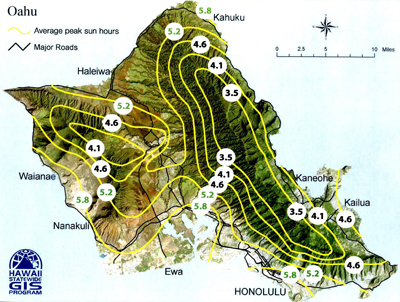 FOR EXAMPLE: HECO monthly saving calculations weather permitting and depending on sun zone hours. Solar power production is affected by various factors such as module mismatch, shading from trees, roof vents, other panels and/or solar water panels on the roof. Also changes in temperature and shading causes complex current-voltage curves which affect production. This is true in systems with Central Inverters. Micro Inverters increase productivity. The Micro Inverters we use have a 20 to 25 year warranty including a life time subscription to the monitoring web site. Home owners can see exactly what each of their solar panels are producing on a daily bases.